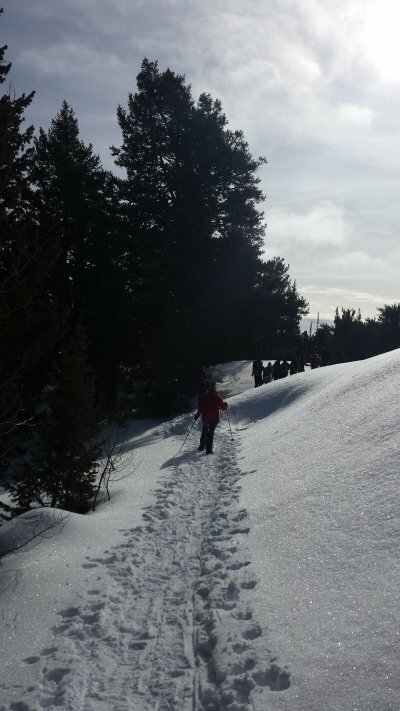 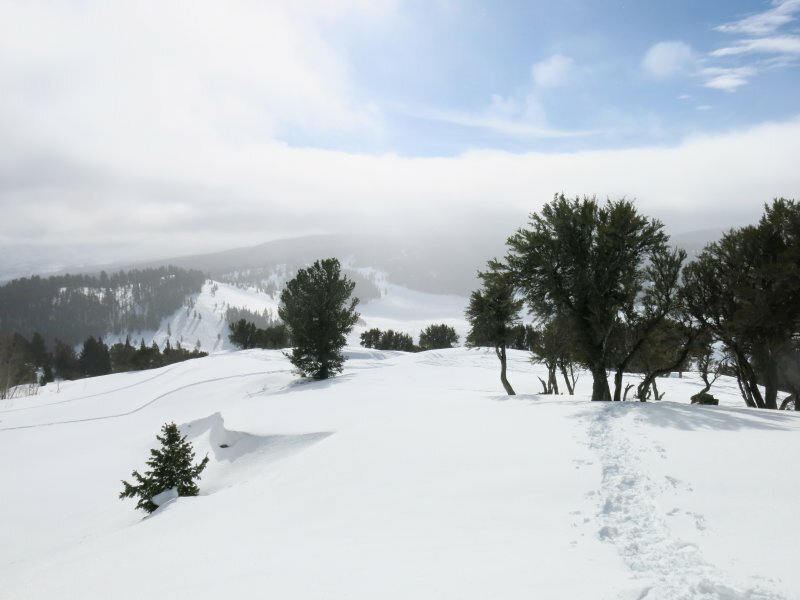 On Saturday the Cache Hikers set out for an easy snowshoe outing on the Limber Pine Trail. 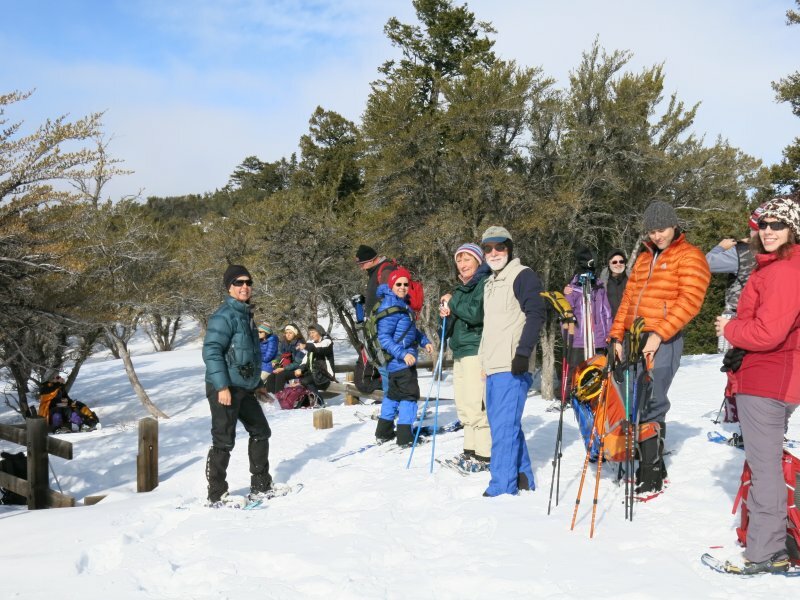 We departed the Smith's parking lot at 10:15 am with a sizable group, parking along US 89 near the Sinks Road after finding an unplowed parking area at the Limber Pine trailhead. 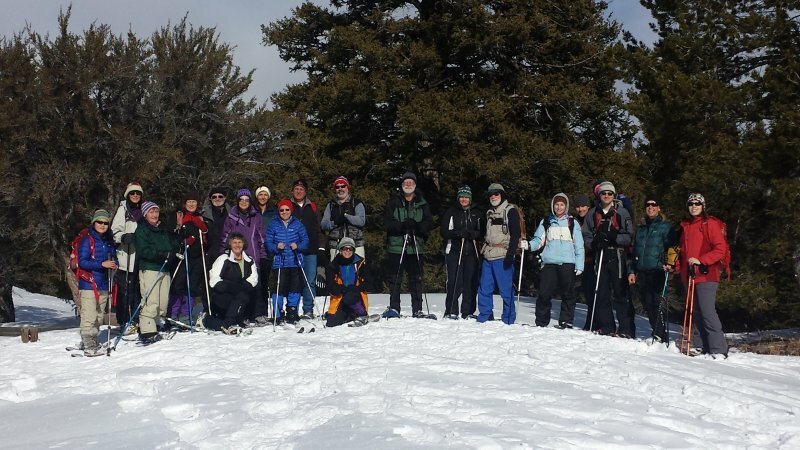 Three more more Hikers joined us there, for a grand total of 23: Brent, LaVae, Lynn, Kip, Carol J., Tim, Jeanne, Dave P.(on skis), Kathy, Robin, Dave W., Jane, Gordon, Carol K., Betty (on skis), Terry, Monika, Joli, Reed, Hazel (only two and a half years old), Kristen, Alex, and Stephanie T.
A shorter snowshoe adventure than most, we still had a great time enjoying the snow and lunching near the old Limber Pine. 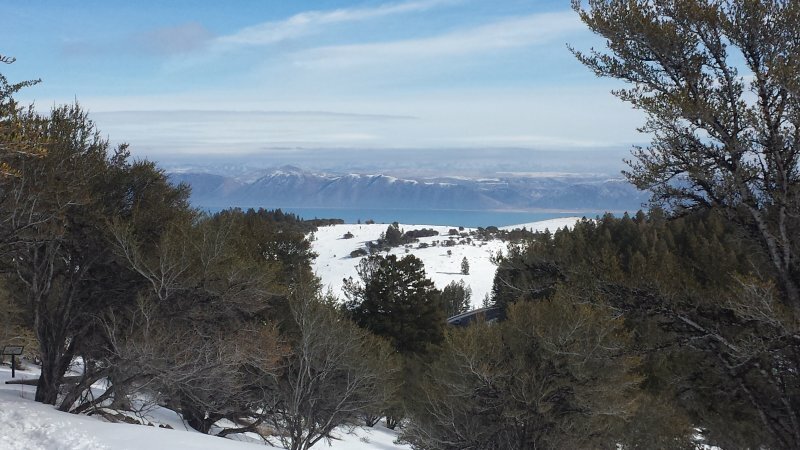 A few adventurers opted to break trail and explore the nearby ridge (where Alex and Monika spotted a snowshoe hare), while the majority of the group continued along the trail looping back to the parking area passing one of the best views of Bear Lake on the way. 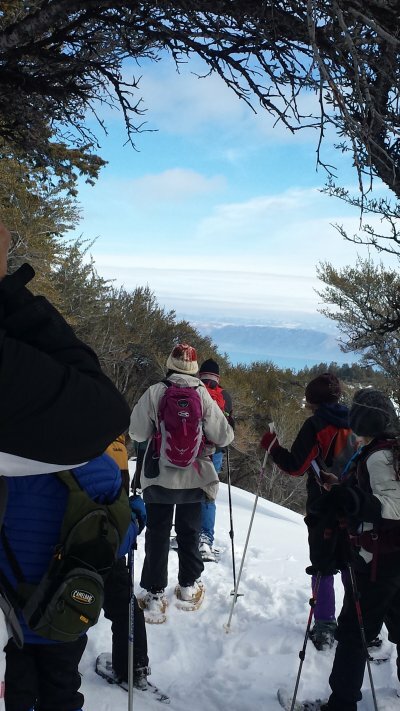 As mentioned, it's a short snowshoe--so a few of us had another go-around and did the loop one more time just for fun. 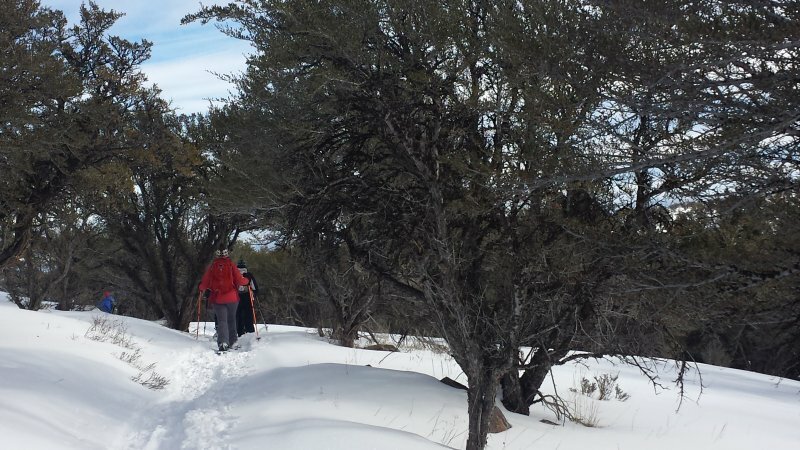 The adventurous trail-breakers returned not long after we'd finished the second loop, and we all returned to Smith's by 3:15pm. 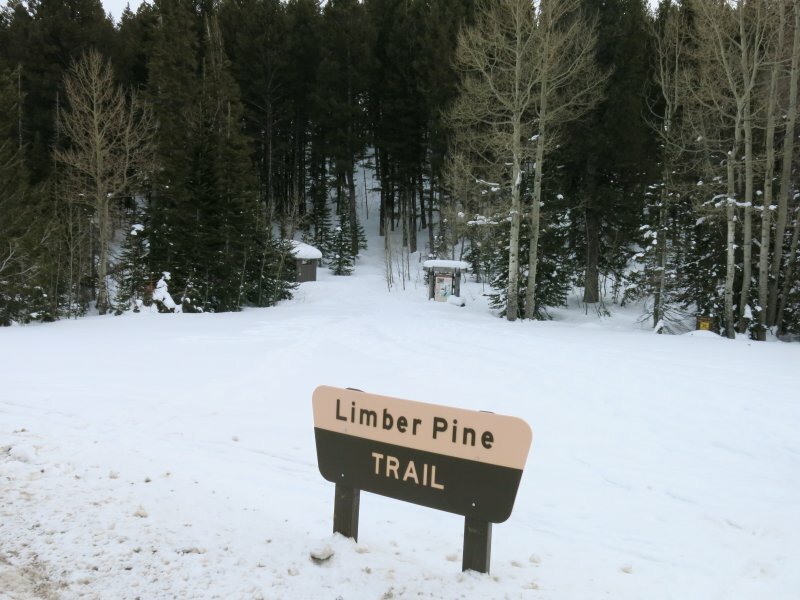 No parking here at the trailhead!